Several weeks ago we provided some tips on how to pick a game to watch with your kid, and one of the things we talked about were the underdog stories. We mentioned the exciting prospect of Leicester City Football Club (the foxes) winning Barclay’s Premier League as the underdog fairy tale story of the year that could write the pages of sports history, be turned into books and movies, and is already influencing rock bands. Earlier this week Atletico Madrid beat Bayern Munich 1-0 in a UEFA Champions League semi-final first leg. The only goal of the game – and now the difference that Bayern has to surmount in their return leg in Munich – came early in the 1st half after a surging dribble through the heart of Bayern’s defense. One of the great things about running a site like soccerdrillsapp.com is that we interact with our followers by receiving feedback or questions from them. This interaction allows us to fill the holes that are either unintentionally left in our practice sets, or we are just starting to scratch the surface of. Several of our followers have recently sent us a request for ideas on defensive drills. Incidentally, at a practice two nights ago, I overheard some parents talk (parents never complain) about how their kids’ team never works on defense. All team defending relies on individual defenders being able to handle their assignments. However, good positioning and communication (often hard to achieve with young players) by teammates can have an enormous impact in helping an individual defender successfully complete the challenge. Here we offer a couple of drills that can help teams achieve some “team chemistry” when defending, and translate that into a successful transition on offense. The most important thing for your players to learn when it comes to increasing game speed is to have an idea of what their next move will be before they get the ball. Using formations with a lot of triangles can help because the player with the ball should always have two options to pass. If the first option is blocked she can go to the second one. However, it takes a bit of maturity from the players to get to this stage. One of our readers asked for drills and tips on teaching his kids to kick properly (and not with the toes), so we thought we’d post here for everyone’s benefit. lean forward over the ball before striking it and follow through to regain your balance after the ball was kicked. A formation is simply the way you wish to organize your players on the field during a game. 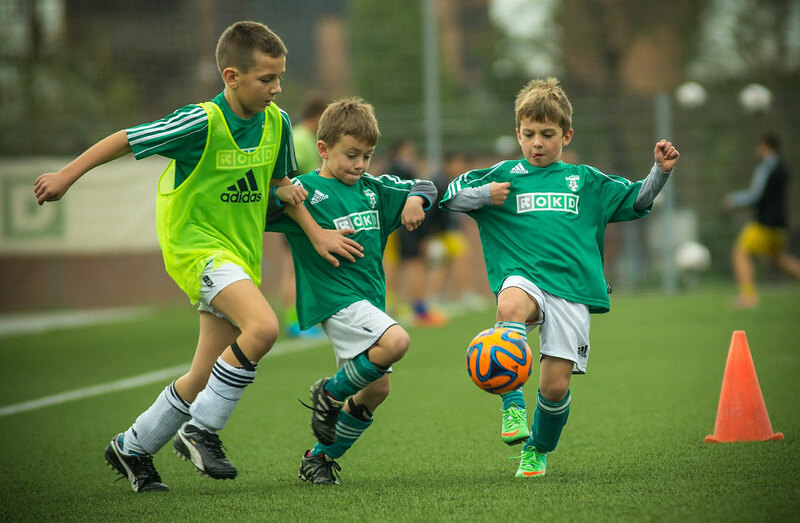 Here we provide some suggestions on formations we have used in the past in the following three competition formats: 4v4, 7v7, and 11v11. Before we get into the details, let’s take a moment to explain what the numbers in the formations mean. Numbers associated with formations (e.g., 4-4-2) explain how many players you will play in each functional line (let’s call them functional lines), from back to front. In the 4-4-2 example, you would have 4 defenders, 4 midfielders, and 2 forwards. Sometimes formations may have more than three lines (e.g., 4-1-2-1-2), so starting from the back you would line up 4 defenders, 1 defensive midfielder, 2 regular midfielders, 1 attacking midfielder, and 2 forwards. The goalkeepers are never counted in these numbers, it is assumed that there is exactly one per team if the competition format allows for goalkeepers. The following advice is meant for recreational players who are still developing and is actually the complete opposite of the advice we would give to teams who are in very competitive leagues. They just scored to take a 1-0 lead late in the second half. I know exactly why they scored, I saw it coming before they scored, and I know that they are likely going to continue to threaten our goal for the next 5 minutes for the same reason. I refuse to fix the issue the easy way. Two minutes later the score is 2-0. My players’ fighting spirit has been broken. A minute later it is 3-0, and 2 minutes after that the game is over. We got blown out by a team we are equal to in every aspect of the game. What a great teaching opportunity. This is the exact scenario I faced recently with my U-9 boys team. Even before we went down 1-0 I could see that one of my less athletic players was mismatched against a player who was not lacking in any aspect of the game. Sitting on the bench at that moment I had one player capable of stopping this future Messi, and playing in one of the wide positions already on the field I had another equally capable player. But it was my less athletic player’s turn to play in that position. 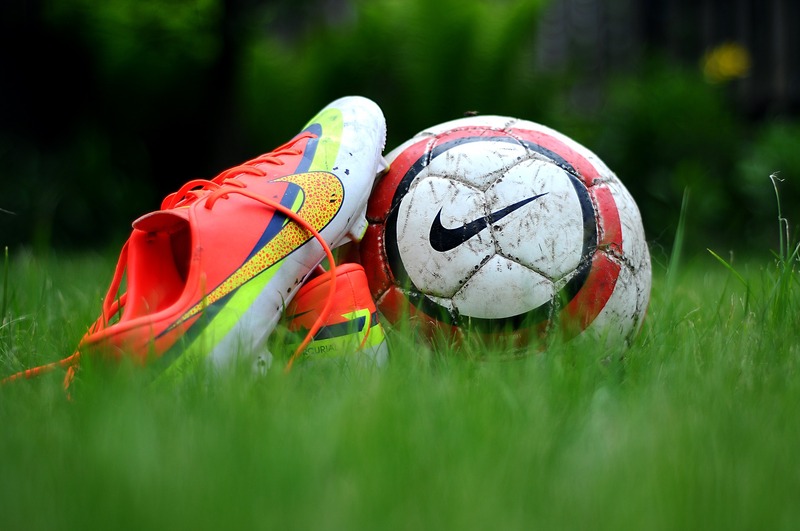 When it comes to practice gear for young soccer teams, there are many choices. Your league may provide you with some of the items you need, but we’ve put together a list of the most commonly used items by coaches so you don’t have to spend tons of time researching. Buy the items we list, or use them as a jumping off point to find similar items. 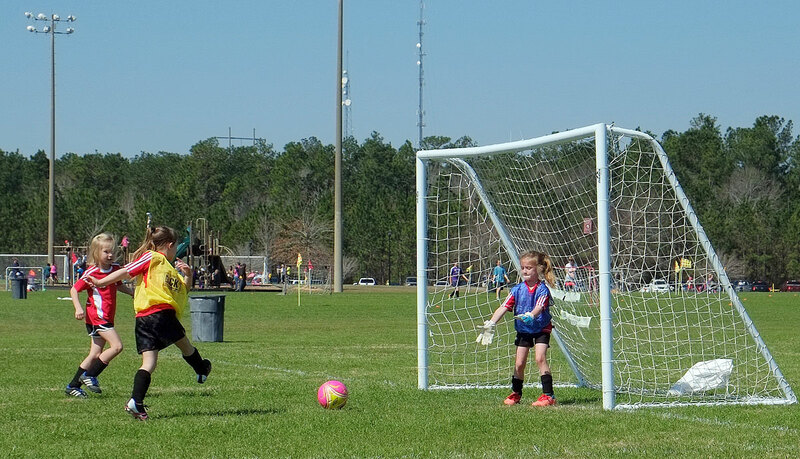 You can use the US Youth Soccer guide showing recommended Goal, Field, Ball sizes and match durations for various age groups to pick the correct ball size for your team.